Is a New Solar Cycle Beginning? According to NASA, we may be on the verge of a new solar cycle initiation – working our way out of the recent solar minimum and toward a maximum that would peak around 2011 or 2012. The solar physics community is abuzz this week. No, there haven’t been any great eruptions or solar storms. The source of the excitement is a modest knot of magnetism that popped over the sun’s eastern limb on Dec. 11th, pictured below in a pair of images from the orbiting Solar and Heliospheric Observatory (SOHO). It may not look like much, but “this patch of magnetism could be a sign of the next solar cycle,” says solar physicist David Hathaway of the Marshall Space Flight Center. For more than a year, the sun has been experiencing a lull in activity, marking the end of Solar Cycle 23, which peaked with many furious storms in 2000–2003. “Solar minimum is upon us,” he says. The big question now is, when will the next solar cycle begin? It could be starting now. New solar cycles always begin with a high-latitude, reversed polarity sunspot,” explains Hathaway. Reversed polarity ” means a sunspot with opposite magnetic polarity compared to sunspots from the previous solar cycle. “High-latitude” refers to the sun’s grid of latitude and longitude. Old cycle spots congregate near the sun’s equator. New cycle spots appear higher, around 25 or 30 degrees latitude. The region that appeared on Dec. 11th fits both these criteria. It is high latitude (24 degrees N) and magnetically reversed. Just one problem: There is no sunspot. So far the region is just a bright knot of magnetic fields. If, however, these fields coalesce into a dark sunspot, scientists are ready to announce that Solar Cycle 24 has officially begun. Below: Solar Cycle 23 is coming to an end. What’s next? Image credit: NOAA/Space Weather Prediction Center. Many forecasters believe Solar Cycle 24 will be big and intense. Peaking in 2011 or 2012, the cycle to come could have significant impacts on telecommunications, air traffic, power grids and GPS systems. (And don’t forget the Northern Lights!) In this age of satellites and cell phones, the next solar cycle could make itself felt as never before. 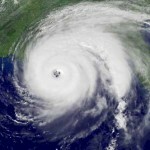 2007: A Year of Extremes? a tiny hole into the top of the plastic heater box under the hood. of air rising in water.